SORRY, THIS HOME IS NO LONGER AVAILABLE. THIS HOME IS OCCUPIED SO DO NOT DISURB TENANT. The home at 14412 Voltaire will become available for rent on March 1, 2018 . This highly sought after property is located in a secluded area far away from the main clubhouse and boasts a wrap around deck, huge game room that can be used as a man cave. 3 bedrooms fill the home along with 3 bathrooms. The main living area has vaulted ceilings with a knotty pine wood finish. Most rooms have knotty pine features giving it a very Mountain rustic feel. The home offers a 2 car over sized attached garage, inside laundry room with washer and dryer hook ups, open floor plan, newer stainless steel appliances, wood burning stove, and plenty of storage. This mountain retreat has two levels, ground level has bedroom, bathroom with shower and two large open rooms and a wet bar that can be used as a game room for pool table, rec room family room, or great room. The main level upstairs offers large open kitchen with dishwasher, gas oven, microwave, Jenn Air countertop grill, bay window, separate dining area, open living room with vaulted knotty pine cieling. Master has sliding door to deck which surrounds the home, double sink and shower. One additional bedroom upstairs and bathroom with shower and bath tub. The inside laundry room is on the ground level right off the garage. There are stairs from the large attached garage to to main level upstairs, as well as entry through the front from outside. Unlike many other Mountain communities, All roads within Pine Mountain Club are paved and maintained by PMC, including snow removal in winter. Propane, Electric, community water on meter. Good credit is a must! For those unfamiliar with the area of PMC, We encourage you to take a look at the general area to see if it works for you for commuting, etc. Home is presently occupied, inside can be seen online, if still interested after taking a drive up to the area, contact us. Should be available September or October. Pine Mountain Club includes a PGA-rated 9-hole golf course, swimming pool, tennis courts and equestrian center to a clubhouse with a lounge providing live entertainment, outdoor concerts during the summer and an upscale restaurant. In the center of town, a village center with retail stores, restaurants, a park with a playground, a beautiful inn and a gazebo offers convenience in an Alpine setting. Special events — such as the Lilac Festival, Run to the Pines Car Show and Wine in the Pines — take place at various times during the year. Endless trails, abundant wildlife and clear skies make PMC a little slice of paradise. The home is close enough to the clubhouse for a quick round of golf or tennis but far enough away so that it truly has a Mountain home feel. Owner pays monthly HOA fees of $140 which cover membership in the Country Club with golf course, swimming pool, clubhouse, tennis courts, horseback riding available. Homes of this size do not come up for rent often and it is likely to be grabbed up quickly so visit our page for prospective tenants to start the rental application process and get pre qualified. Pine Mountain Club is fast becoming a retreat for those living in the Valley and who want to escape the hustle and bustle of Los Angeles. 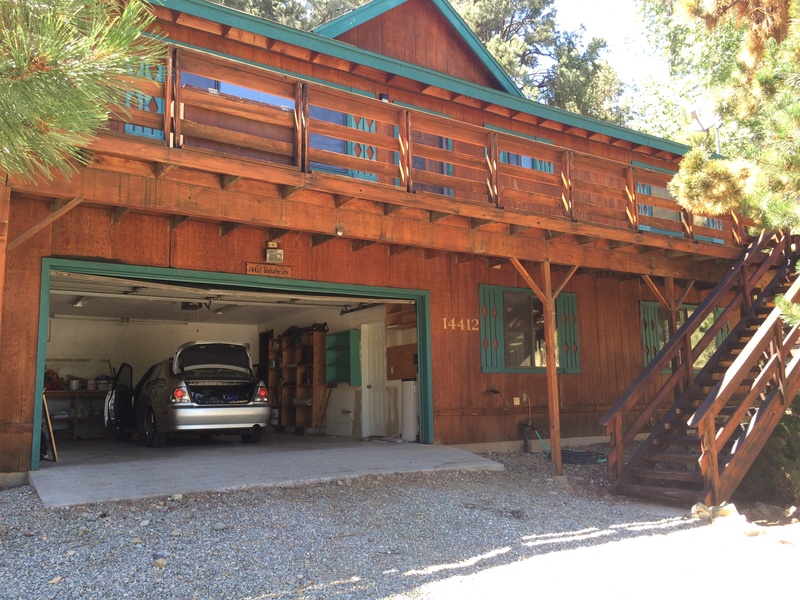 Hi, I’m interested in your home on 2405 Yellowstone Court, Pine Mountain Club 93222. I was wondering if still availble. Looking forward to hear from you.